You’ve enjoyed a successful career in imaging so far, but now you’re looking to take the next step. The Bachelor of Science in Radiologic Sciences is designed to give students the skills and experience they need to lead imaging departments. The online Bachelor of Science in Radiologic Sciences program is the model on which many other online radiology programs are based. AHU Online is one of the top 10 schools in this degree area, granting the most radiologic technology degrees. Our program is designed for working professionals and offers three specialty tracks (MRI, CT, or Multi-Modality) to help students earn certifications and become multi-credentialed. The program is 100% online, which allows you to fit courses into your already busy schedule. The degree completion timeline is also flexible. Some students choose to complete their coursework in as few as 18 months, while others opt for a more gradual pace. AHU is regionally accredited and works closely with AdventHealth, a globally recognized institution, to provide our students with a modern radiology program. 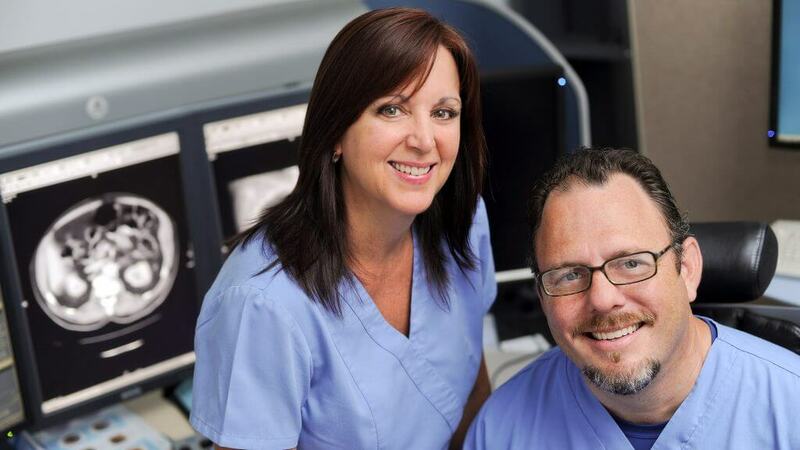 Carefully developed by our faculty, recognized leaders in the field, the Radiologic Sciences curriculum has become the model for other online programs. While some online programs can seem impersonal, with students often feeling they are left to sink or swim on their own, we offer a multilevel system of support. AHU Online takes a wholistic approach to our programs, offering the same support to online students that campus students receive, such as library, tutoring, and counseling resources. Within the online courses, you will have access to weekly devotions, virtual faculty office hours, and online discussion boards, where you can connect with fellow students and faculty. Each student works with a Retention Specialist, who serves as a special coach to help guide you through the program. With a bachelor’s degree in Radiologic Sciences, you’ll be prepared to lead an imaging department and enhance your knowledge of advanced modalities. Earning a degree can give you a boost up the career ladder, allowing you to advance at your current place of work or to pursue further career opportunities. If you are ready to learn more about the online Bachelor of Science in Radiologic Sciences, contact AHU today and speak with one of our Admissions Coordinators.